As a Principal with Chuhak & Tecson, Ed Josephson brings a powerful set of credentials to the table in representing entrepreneurs that need sound business counsel. As a certified public accountant and business attorney, Ed is able to go beyond traditional legal services in identifying and resolving business issues. He focuses his law practice on general corporate, tax law and estate planning, representing more than 200 entrepreneurial businesses. He has represented many of his clients in the acquisition and disposition of multi-million-dollar companies to some of the nation’s largest conglomerates, including Fortune 100 companies. He also represents lender institutions in structuring secured loan transactions with borrowers. Ed often serves as a member of the senior management team for business clients. He is able to assist clients in developing and implementing business plans, including succession and strategic planning, using his business acumen and managerial experience. Ed has served on the firm's Management Committee and is currently a member of the Compensation Committee. 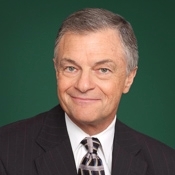 He is also past chair of the Chicago Bar Association Federal Tax Committee Division C. He is a frequent speaker and author on issues of taxation to accounting and business organizations and publications. Ed is admitted to the U.S. Supreme Court and U.S. Tax Court.